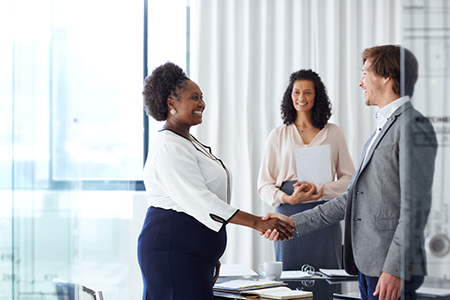 The top area of business growth focus for real estate brokers and owners—not profitability nor agent productivity—is agent recruitment and retention, according to new research published by Contactually, a leading relationship marketing software firm. In the first half of 2016, the firm’s research department spoke with over 150 leading brokers and owners in the United States about their business priorities and practices. More than two­ thirds of participants (68 percent) reported that recruiting and retaining agents was their top priority. The results of the research are compiled in the Brokerage Recruiting Playbook, a thorough, data­ driven report with practical steps for creating and implementing a recruiting strategy for real estate brokers and owners. Be clear on your strategy. Are you recruiting with a production goal, a headcount goal, or a very selective or as ­needed approach? Each has very different implications for how you develop and execute your plan, making it critical that you first address this key question before moving forward. Understand how your value proposition aligns with the needs of your target agents. How would you characterize your organization? Does it fully support training and development? Is it a collaborative culture? Do you focus on marketing and administrative support? 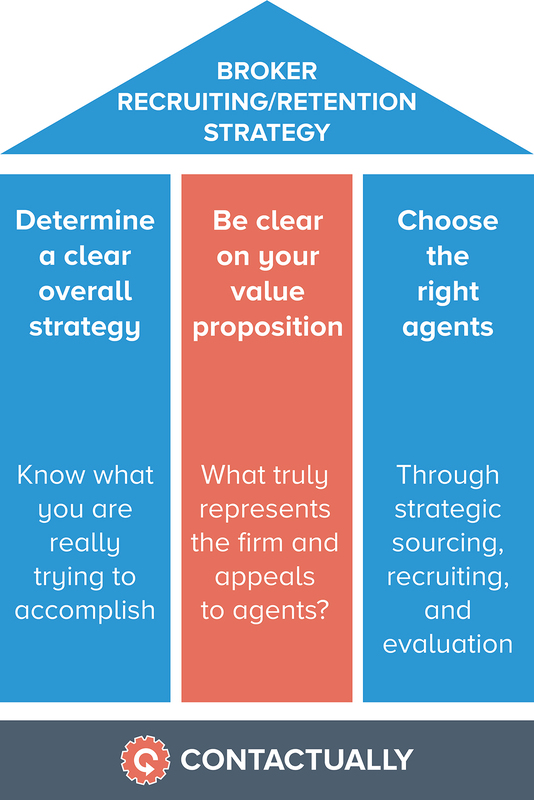 It’s important to fully define the value you bring to prospective agents to ensure that you find those that not only meet your strategy needs but, just as important you find great resonance in your value proposition. Sourcing agents and evaluating agents are two completely different skills and you must master both if you’re going to be successful in retaining these agents for the long run. Ask the right questions and source agents through referrals are just two strategies for long term success. For more details on the ​Brokerage Recruiting Playbook​ and its findings, please go to https://resources.contactually.com/h/i/289349229-the-brokerage-recruiting-playbook/232449 and contact marketing@contactually.com​ with any questions or comments.